Water Globe Consultants, LLC is a professional engineering company specialized in providing independent expert services in the ﬁeld of seawater desalination and water reuse. 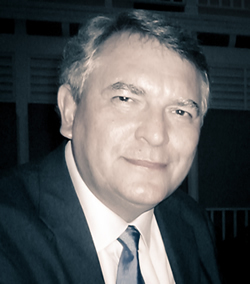 Since 2009, Mr. Voutchkov is the Founder and the Director General of Water Globe Consultants, a US company providing worldwide engineering consulting and training services in the field of desalination and water reuse worldwide. For 11 years prior to that Mr. Voutchkov was a Chief Technology Officer and Corporate Director of Poseidon Resources, a US company specializing in the development of desalination and water reuse projects. Go to Mr. N. Voutchkov's CV…. 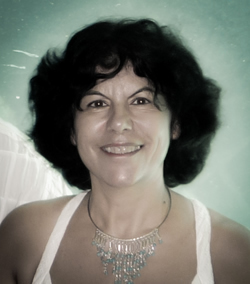 Dr. Lazarova is an international expert with over 30 years of research and practical experience in the field of environmental engineering particularly in water reuse and wastewater treatment. Her career started as designer and project manager of wastewater treatment plants, followed by academic interdisciplinary research experience as project coordinator and manager, and culminating as technical expert and advisor for full-scale operations, new offers and policy development. During her career, she has held key positions in the different professional organizations, e.g. Chair of the IWA Water Reuse Specialist Group.